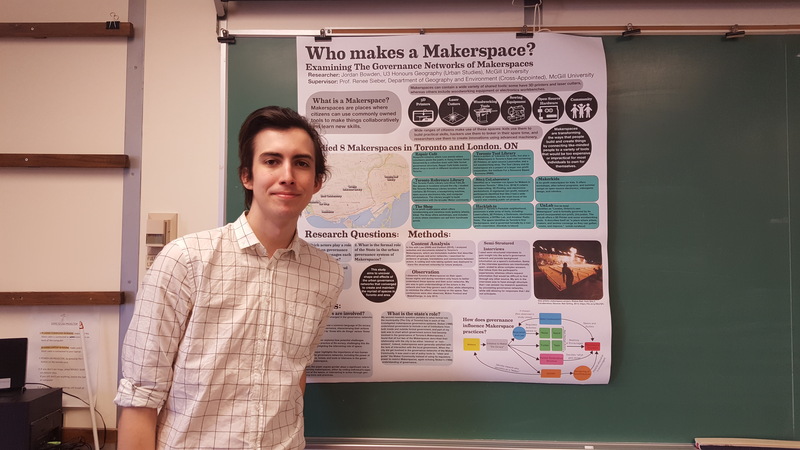 A McGill University undergraduate has undertaken unique research on the governance of Toronto’s Makerspaces as his honours thesis project. Google “Makerspaces” and you might not understand the definition you’re reading. First popular in China and other Asian countries, these do-it-yourself (DIY) spaces where people can gather to create, invent, and learn have also spread to the United States and, most recently, Canada. Many are located at libraries where they include tools such as 3D printers, software, and electronics while others include craft and hardware supplies, online sites, tools, and more. People go to these social spaces to build and invent often with expensive, specialized equipment, while teaching and learning from their peers. In research funded by a McGill University Arts Undergraduate Research Internship Award (ARIA) and Geothink, one student has found a huge variance between the types of spaces found in Toronto. The city’s groups represent what McGill University Undergraduate Jordan Bowden calls a unique Canadian evolution of the Makerspace concept. Many of Canada’s Makerspaces face little formal regulation and differ greatly from their formulations than in other countries, he added. “My research tries to make the argument that there are sort of intervening factors between the actual desire to make stuff and start a Makerspace and the actual production of the thing,” he says of research he conducted into how 11 different Toronto Makerspaces are governed in the summer of 2015. His work was undertaken with the supervision of Geothink Head Renee Sieber, associate professor in McGill University’s Department of Geography and School of Environment. It will constitute his soon-to-be-submitted undergraduate honours thesis. One of the main differences in the Toronto Makerspaces where Bowden conducted his interviews was the manner in which they were governed. At first, he focused his research on looking at the way formal provincial or federal agencies regulate what Makerspaces can build or how much noise they might make. But he didn’t find any evidence of the province or federal government regulating these spaces. Bowden also believed he’d be able to interview a wide number of people and groups. But that didn’t pan out during the summer he spent observing different Makerspaces around the city and going to maker related events. What he found instead was a need for longer more in-depth interviews with fewer groups that possessed a wide variety of organizational structures. These interviews make up the core of his thesis research and include non-profit boards, for profit companies, groups of artists, local library groups, and spaces run by the government. “Governance matters, [and] a wide variety of actors, including nonhuman, play a role in the governance system,” Bowden said of the Makerspaces he examined. Interestingly, the idea of governance within these spaces also varies greatly, he added. “I use the term a lot in the paper, urban governance systems,” Bowden said. Such governance systems can shape a Makerspace’s existance and what people actually make, he added. 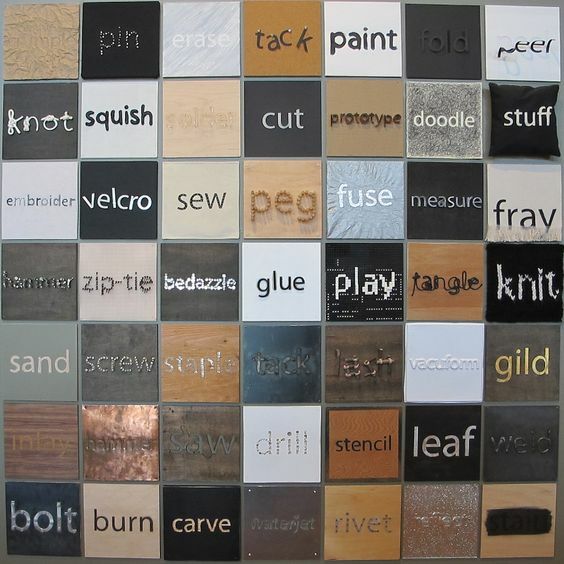 There are a multitude of factors which restrict or enable what makers create in the space, like noise, tools, or the organizational factors. Bowden has personal experience with such intervening factors. He’s been involved in the Makerspace community for quite some time, originally out of interest in a corporate project using a 3D printer. It’s led him to believe that there’s not much research right now on the different Makerspaces emerging in the Canadian context. In particular, he says, not much has been written on the differing contexts and mechanisms by which they’re governed. Find out more about Makerspaces and how Bowden conducted his research in Geothoughts Podcast 10: Governing Makerspaces in Toronto with Jordan Bowden. This entry was posted in In The News and tagged ARIA Grant, Canada, Geothink, governance, Jordan Bowden, makerspaces, Mcgill University, McGill University Arts Undergraduate Research Internship Award, Toronto, Toronto makerspaces, undergraduate on April 18, 2016 by Drew Bush. Geothink’s 2016 Summer Institute will take place at Ryerson University in downtown Toronto. 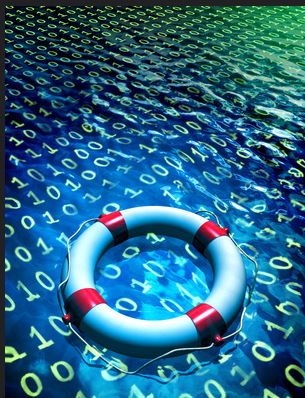 Are you curious about the use of open data by municipalities and their citizens? Geothink’s 2016 Summer Institute will kick off May 9 to May 11 at Ryerson University in Toronto and combine practical data handling and communications skills with a unique breadth of critical discussions. “We’re really excited about the structure this year, where students will be able to get their hands dirty with open data and then get to learn and interrogate how it’s made,” Geothink Project Manager Alexander Taciuk said. The first day will be headed by the Open Data Iron Chef Richard Pietro and students will accelerate from learning the basics of open data to developing open data-fuelled solutions to real world problems. On the second day, lectures and discussions with open data experts will give students unique perspectives on and access to Toronto’s open data makers and doers. The final day will be a writing skill-incubator that combines writing tips “that no one ever teaches you in school” to teach how to communicate a clear message. Hands-on group work will be interspersed with speakers exploring topics on local and Canadian issues. The Summer Institute aims to give all attendees a multifaceted perspective on the value of open data, and will include hands-on data exploration, hearing from Geothink professors and experts, and discussions with key members of the Toronto open data community. 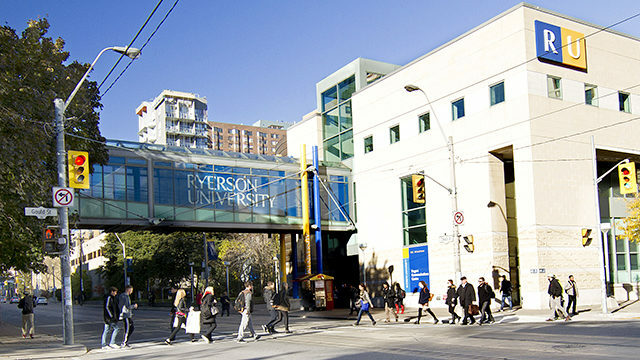 The institute will be held at one of the Ryerson planning studios at the Ryerson School of Urban and Regional Planning. It is open to Geothink students at all levels, undergrad to post-doc. If you are graduating this April, or starting new next term, you are also welcome to attend. The summer institute is hosted by Geothink, a five-year partnership grant awarded by the Canadian Social Sciences and Humanities Research Council (SSHRC) in 2012. The partnership includes researchers in different institutions across Canada, as well as partners in Canadian municipal governments, non-profits and the private sector. The expertise of our group is wide-ranging and includes aspects of social sciences as well as humanities such as: geography, GIS/geospatial analysis, urban planning, communications, and law. This entry was posted in In The News and tagged Geothink, open data, Ryerson, students, Summer Institute, Summer Institute 2016 on March 21, 2016 by Drew Bush. 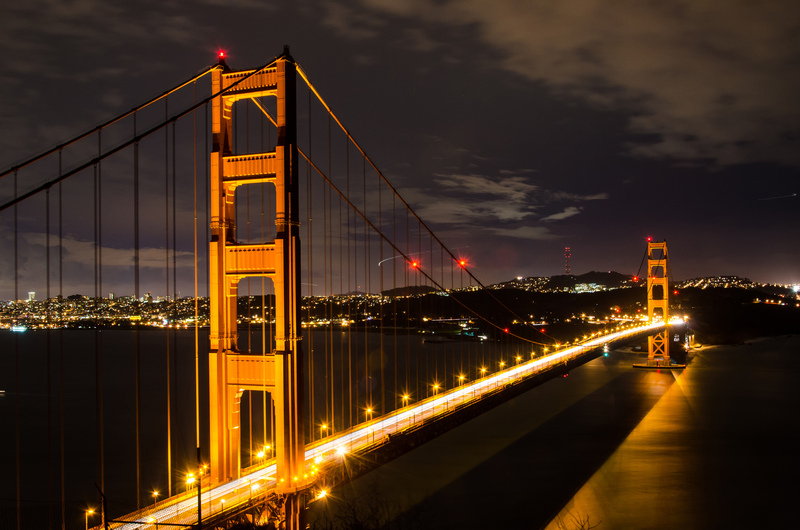 The Annual Meeting of the American Association of Geographers will be in San Francisco, CA from March 29 to April 2. 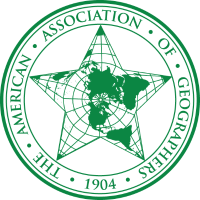 A large number of Geothinkers will be presenting at this year’s American Association of Geographers (AAG) Annual Meeting in San Francisco, CA the last week in March. You won’t want to miss two of our co-applicants and one of our students making presentations on Tuesday in the 10:00 AM session Data in action: Tracing the open data experiment. Other highlights include Renee Sieber and Sarah Elwood as panellists in Gender & GIScience. Below we’ve compiled the schedule for all of Geothink’s co-applicants, collaborators and students who will be presenters, panelists, organizers, and chairs during the conference. Find a PDF of this program here. We hope you find this useful for finding the right sessions to join. You can also find the full searchable preliminary AAG program here. If you’re not able to make the conference, you can follow along on Twitter and use our list of Twitter handles below to join the conversation with our participants. And remember to use the conference hashtag #AAG2016 and our hashtag #Geothink or handle @geothinkca when you Tweet. 8:20 AM Tenille Brown presenting The Dreamcatcher “Spatial Heritage Database:” The Mississaugas of the New Credit First Nation, Land Boundaries, Technological Innovation in the 8:00 AM session on The ontological turn, conversations between political ecology and legal geography I: Politics of indigeneity, the law, and rights. Union Square 19, Hilton Hotel, 4th Floor. 10:00 AM Peter Johnson presenting Reflecting on the Success of Open Data: How Municipal Governments Evaluate Open Data Programs in the 10:00 AM session on Data in action: Tracing the open data experiment. Nikko Ballroom III, Hotel Nikko, 3rd Floor. 11:00 AM Suthee Sangiambut presenting Are Citizen-Government Relations Improved by Open Data? 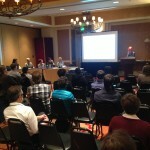 in the 10:00 AM session on Data in action: Tracing the open data experiment. Nikko Ballroom III, Hotel Nikko, 3rd Floor. 11:20 AM Jon Corbett presenting Mind the Gap: an empirical look at the relationship between open data and social justice in the 10:00 AM session on Data in action: Tracing the open data experiment. Nikko Ballroom III, Hotel Nikko, 3rd Floor. 12:40 PM Renee Sieber and Sarah Elwood as panellists in Gender & GIScience. Paris North, Marker Hotel, Lobby Level. 1:20 PM Sara Harrison presenting Crowdsourcing in Emergency Management: A comparative analysis of crowdsourcing adoption by governments in the United States and Canada in the 12:40 PM session on Hazards and GIScience. Union Square 10, Hilton Hotel, 4th Floor. 1:20 PM Sarah Elwood chairing the session Relational Poverty 2: Alternative Poverty Knowledges. Union Square 20, Hilton Hotel, 4th Floor. 4:20 PM Teresa Scassa presenting Mapping Crime: Civic Technology in the Emerging Smart Cities Context in the 3:20 PM session on Toward a Geographical Software Studies 3: The visual and control. Union Square 16, Hilton Hotel, 4th Floor. 8:00 AM Renee Sieber as a discussant in Constructively Critical GIS. Golden Gate 3, Hilton Hotel, Lobby Level. 8:00 AM Sarah Elwood chairing (and as organizer) of the session on Relational Poverty 5: Authors meet critics – Roy & Crane’s Territories of Poverty: Rethinking North and South. 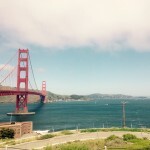 Golden Gate 2, Hilton Hotel, Lobby Level. 9:00 AM Piotr Jankowski presenting on Geo-questionnaires in Urban Planning: assessing spatial representativeness, recruitment methods, and data quality in applications from Poland and Finland in the 8:00 AM session on Participatory Regional Development and Planning. Union Square 15, Hilton Hotel, 4th Floor. 10:00 AM Sarah Elwood chairing the session on Relational Poverty 6: Solidarity Economy Post-Capitalist Practices and the Geographies of Exclusion and Marginalization. Union Square 16, Hilton Hotel, 4th Floor. 1:20 PM Renee Sieber as an organizer of Disrupt Geo 1: New ideas from the front lines of maps, mobile, and big data. Plaza B, Hilton Hotel, Lobby Level. 3:20 PM Renee Sieber as an organizer of Disrupt Geo 2: new ideas from the front lines of maps, mobile, and big data. Plaza B, Hilton Hotel, Lobby Level. Check out the event website here: http://aagmapathon.org/disrupt-geo.html. 3:20 PM Qing Lu presenting Potential and challenges of mobile technologies in the public sector: a case study of 311 requests in Edmonton, Canada in the 3:20 PM Symposium on Human Dynamics Research: Urban Analytics (II). Union Square 18, Hilton Hotel, 4th Floor. 6:00 PM Scott Bell presenting Leveraging Sensor Networks to Study Human Spatial Behavior in the 5:20 PM Symposium on Human Dynamics Research: Space-Time Analytics (Technologies). Lombard Room, Hilton Hotel, 6th Floor. 8:00 AM Alex Aylett as the organizer of Smart + Sustainable? 1: A critical look at digitally-enabled green urbanism. Continental 7, Hilton Hotel, Ballroom Level. 9:20 AM Pamela Robinson as a discussant in Smart + Sustainable? 1: A critical look at digitally-enabled green urbanism. Continental 7, Hilton Hotel, Ballroom Level. 10:00 AM Alex Aylett as a discussant in Smart + Sustainable? 2: A critical look at digitally-enabled green urbanism. Continental 7, Hilton Hotel, Ballroom Level. 11:00 AM Pamela Robinson presenting Green Tools: Is Civic Tech Advancing Environmental Action and Governance? in the 10:00 AM session Smart + Sustainable? 2: A critical look at digitally-enabled green urbanism. Continental 7, Hilton Hotel, Ballroom Level. 1:20 PM Renee Sieber as a panellist in the Symposium on Human Dynamics Research: A Dark Side to Data-Centric Geography? Where are the Reward Systems? Golden Gate 3, Hilton Hotel, Lobby Level. 1:20 PM Alex Aylett chairing (and as organizer) of Smart + Sustainable? 3: A critical look at digitally-enabled green urbanism. Continental 7, Hilton Hotel, Ballroom Level. 3:20 PM Pamela Robinson as discussant and Alex Aylett chairing (and as organizer) of Smart + Sustainable? 4: Panel discussion. Continental 7, Hilton Hotel, Ballroom Level. 8:00 AM Sarah Elwood as a panellist in Relational Poverty 12, Author meets critics: G DeVerteuil’s (2015) ‘Resilience in the Post-welfare Inner City: Voluntary Sector Geographies in London, Los Angeles and Sydney.’ Golden Gate 3, Hilton Hotel, Lobby Level. 3:20 PM Victoria Fast presenting Crop locations and school districts’ perceptions of local food in the 2:00 PM session on Monitoring Food Security I: Systems, Networks and Data. 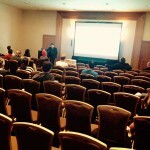 Lombard Room, Hilton Hotel, 6th Floor. This entry was posted in Refereed Publications & Conferences and tagged AAG, aag annual meeting, aag2016, academic conference, American Association of Geographers, american association of geographers annual meeting, annual meeting, chairing, Geothink, organizers, panellists, presentations on March 7, 2016 by Drew Bush. We’re excited to bring you our long-awaited video interview that features Geothink’s experts discussing issues of authenticity and accuracy with crowdsourced data. 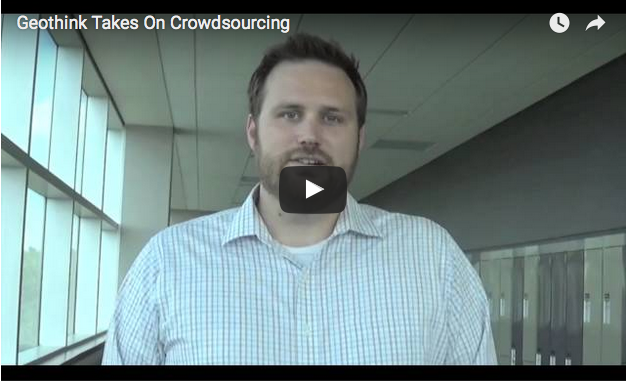 Data collected through crowdsourcing methods increasingly has replaced traditional forms of data collection. This video features Geothink Head Renee Sieber, associate professor in McGill University’s Department of Geography and School of Environment; Daren Brabham, assistant professor in the University of Southern California Annenberg School of Journalistm and Communication; Scott Bell, a professor of Geography and Planning at University of Saskatchewan; And, Claus Rinner,a professor and chair of Ryerson University’s Department of Geography and Environmental Studies. We hope you enjoy this video as much as we enjoyed making it. Afterwards, leave us a comment and tell us what you think about this important area of debate concerning crowdsourced data. You can also learn more about crowdsourcing by reading our post on this central topic to our 2015 Summer Institute, listening to these lectures from the Summer Institute, or listening to our experts talk about the topic over lunch last June. If you have thoughts or questions about this video, get in touch with Drew Bush, Geothink’s digital journalist, at drew.bush@mail.mcgill.ca. This entry was posted in Geothink Videos and tagged accuracy, authenticity, Claus Rinner, crowdsourcing, Daren Brabham, Geothink, Renee Sieber, Research Theme 2: Spatial Authenticity Accuracy and Standards, Scott Bell on September 18, 2015 by Drew Bush.